As more people are accessing websites using their mobile devices everyday, it is increasingly important to have a mobile version of your site that makes viewing your content simple and trouble-free. Because of the diminutive size of mobile screens, the user experience of visiting a full site on a mobile device can be unpleasant and difficult to navigate (not to mention the unbearable load-times). HandHeld WordPress theme from Elegant Themes solves these problems by allowing your mobile users to see your site with an alternative design that is built with those tiny screens in mind. It works in tandem with your normal theme you’re using, and is only activated when the plugin detects that your visitors are using a mobile device to access the site. Check out this incredible premium WordPress plugin along with Elegant Themes’ other amazing themes at the end of the post! 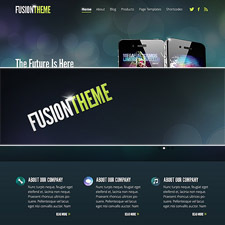 HandHeld premium theme is a plugin that will work with any template, even if you are not using one from ElegantThemes. After you install and configure the plugin, HandHeld will work alongside your default theme, and will only be displayed to your mobile visitors. 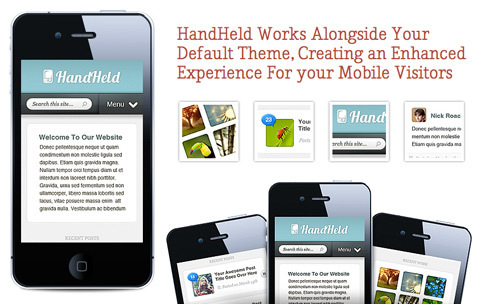 HandHeld theme comes with an easy to use gallery section that serves as a great portfolio or photo gallery. 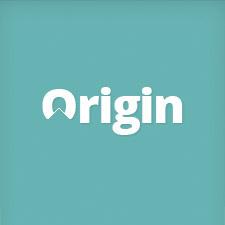 This gallery of images can be displayed on your homepage, as well as on a separate category page. HandHeld is optimized for the mobile viewing experience. The design is responsive, which means it will easily adapt to any screen size. It will also adjust when the screen is tilted into landscape orientation. The HandHeld homepage offers smooth ajax loading which makes the loading of new posts much faster. When browsing on a wireless mobile connection, it is always important to reduce the loading times of your website. Managing the plugin is easy using the plugin options page in your WordPress Dashboard. After enabling the plugin, you will have your mobile browsing experience configured in just a few clicks. You can easily adjust the background color of the theme from within the plugin’s options page. The background is CSS based, which means you can change it to any color value without having to adjust any images. Come back and check out the showcase as we find more sites from around the web using HandHeld.